A wonderfully cool, refreshing drink for the hot summer days! Puree the 15 extra berries together with the strawberries to a fine mass. Add everything in the jar and pour with two / three liters of water while stirring. 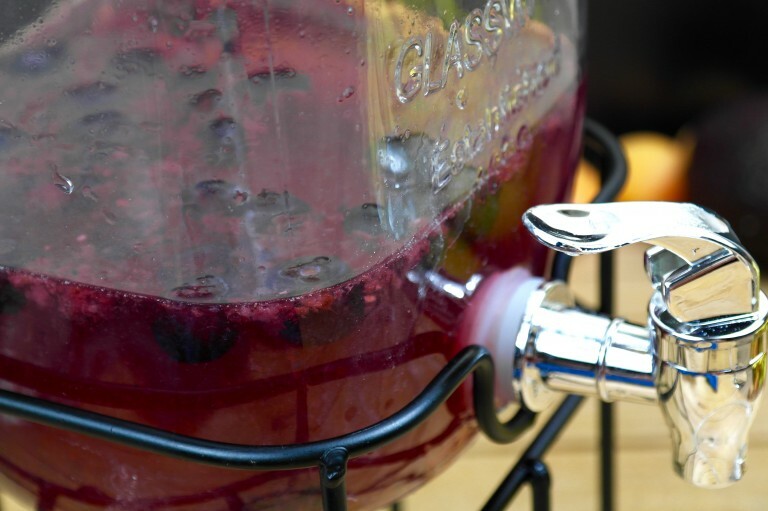 The frozen berries work like ice cubes and keep the drinks cool for hours !!!! !